At 9,036 square-feet, the new restaurant will become the largest dining location at Worlds of Fun. The menu will incorporate an array of items, including authentic Kansas City barbecue, rotisserie chicken, a selection of homestyle sides and desserts, as well as healthier options like salads and fresh vegetables. Boathouse Grill will be located in the Americana section of the park. Its name, architecture and theming pay tribute to Worlds of Fun’s history and the three iconic boats that opened with the park in 1973. The facility will feature porch-style seating and a patio with views of the roller coaster Patriot and SteelHawk, a 301-foot tall circular swing attraction. “For Worlds of Fun guests who can’t wait to sample the latest food offerings each season, 2019 is going to be a great year. 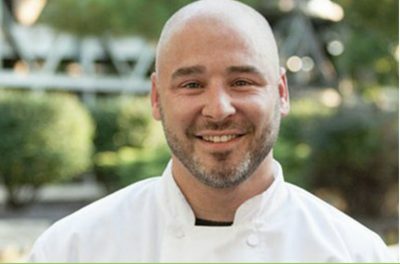 The park has added a new executive chef to the culinary team as well as a new restaurant! Scheduled to open next spring, Boathouse Grill will feature a bevy of new and improved menu items with accommodations for up to 316 guests.” Is the latest statement from the park about what is new for the 2019 season. I have started to see a trend with Cedar Fair parks picking up park wide chefs to offer more diverse culinary options for their guests. Since joining Worlds of Fun, Executive Chef Wesley Boston has continuously found new ways to elevate the park’s food offerings. By combining his creativity and fresh ingredients, he has raised the bar by creating a dining experience this is delicious as it is memorable. Originally from Chicago, Chef Wesley has worked in 22 states in a variety of kitchen settings over his 20-plus-year career. He attended training in culinary arts at College of Lake County and holds two prestigious certifications from Sommelier and Cicerone. You’ll be able to sample all sorts of delicious meals cooked by Wesley in 2019 at the Boathouse!